Adam Voges continued his remarkable Sheffield Shield season with an unbeaten century on the first day of the final as Western Australia built a strong platform against Victoria at Bellerive Oval. It was the sixth hundred of this Shield campaign for Voges, who at 35 is in the midst of a career renaissance that will make him a potential candidate for Australia's Test tours later this year. Western Australia finished the day on 4 for 310 with Voges on 100 and Sam Whiteman on 37. Legspinner Fawad Ahmed was the best of Victoria's bowlers with 3 for 65; he looks certain to finish the Shield season as the competition's leading wicket taker, with 43 victims so far at 26.00. Peter Siddle was Victoria's only other wicket taker on day one. Voges won the toss and chose to bat, and a 130-run opening partnership between Cameron Bancroft and Marcus Harris frustrated a strong Victoria attack led by Siddle and James Pattinson. Siddle eventually had Bancroft caught behind for 55, but the Western Australia line-up is daunting, with Michael Klinger at No.3 and Voges at No.4 the two leading scorers this Shield season. Ahmed bowled Harris for 81 and had Klinger caught behind for 18, and added a third when he had Shaun Marsh caught behind off a wrong'un for 6. 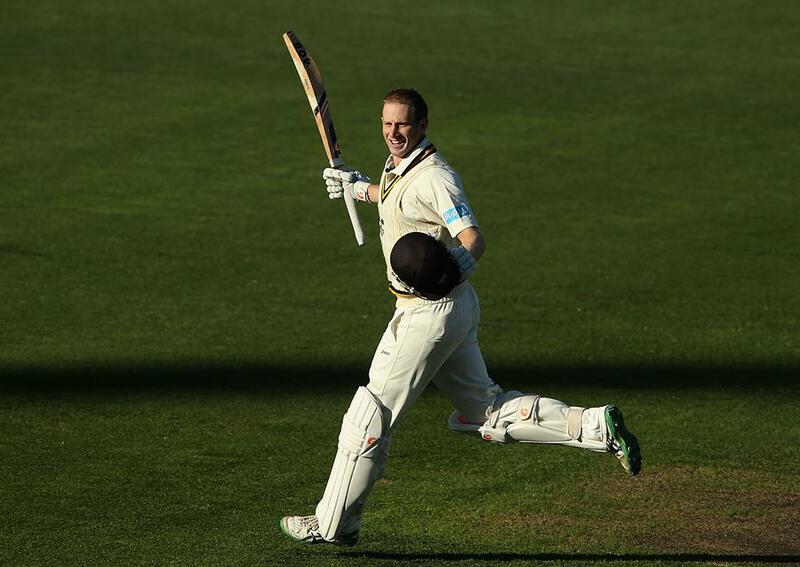 But Voges has been the key all year for Western Australia and so it proved again. He compiled an unbeaten 105-run partnership with Whiteman and a hefty Western Australia total will be important in a match they must win to claim the title. By stumps, Voges had 1315 runs for the Sheffield Shield season, which put him fourth on the all-time tally for most in a Shield campaign. There is every chance he will rise further on that list before the match is out, although he remains nearly 200 shy of the record set by Simon Katich, who amassed 1506 for New South Wales in 2007-08. Voges brought up his hundred in the penultimate over of the day when he cut Scott Boland and took off for a second run to take him to 99. A relay run-out attempt from wicketkeeper Matthew Wade, aiming at the stumps at the non-striker's end, allowed Voges to get through for an overthrow as well as his two runs, which took him to an even 100.